Coach Scott McIntire is a certified USA swim coach with Maryland Swimming and is an ASCA level 3 coach. 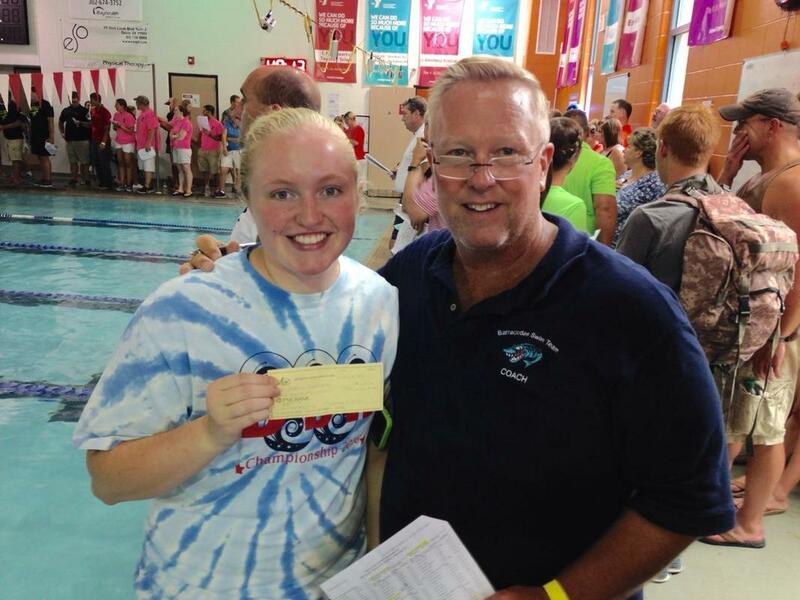 He has been coaching swimming for over 20 years on the Eastern Shore. He has been a USA swim coach for the past 17 years. Coach Scott’s swimming career started as a youth, swimming on the Western Shore of Maryland, where he swam for the Navy Junior team. After high school, he continued his swimming career as a member of the Towson State men’s swim team. While he was on the Western Shore, he gained age group coaching experience by coaching Bulldog Swim Club in the Princemont Swim League. After leaving Towson University, he came to Eastern Shore. He coached Delaware high school level swimming at Sussex Central High School. In 2001, he became the head coach and assistant Aquatics Director for the Mid-Delmarva family YMCA Marlins. He coached there for 13 years, and grew a program of about 40 swimmers to a program of 140 swimmers. During this time, the focus of the program was to meet the needs of all types of swimmers with varying goals and abilities. His focus for the younger groups has always been on doing it right and it will lead to doing it faster. The focus of the program was not just developing highly competitive, disciplined swimmers who could reach their full potential, but using swimming as a tool to teach life skills and develop good character that would lead to success in swimming, academics, and adult life. During his time at MDY, his coaching successes included having swimmers who qualified and participated at YMCA Nationals, USA swimming Sectionals and Junior Nationals events. Coach Scott’s swimmers have achieved US Open and Olympic Trial qualifying times. As well as Scholastic All American Honors and National Age group ranking. Swimmers who have graduated out of his program have swum for Division I universities including Florida State and University of Maryland College Park, and also Division II and III universities such as RIT, St. Mary’s college, McDaniel, James Madison University, and Roanoke. He has had swimmers actively participate in club swimming programs at NC state, Clemson, and UNCW.